A few days ago, I was sharing the story of Joan of Arc with my son. I had started writing a series on historical figures and leadership lessons that we can learn from them. My son, however, commented that there is more to learn about leadership from ‘The Rock’ ‒ whom he adores ‒ than from Joan of Arc. To encourage him to keep learning, I said, “Sure, let’s go see what we can learn about leadership from the big man on the big screen.” To my surprise (but not my son who said, “I told you so Dad!”), we actually discovered a lot of insights from his life ‒ which only reinforced my belief that there is much to learn from everyone! So, let’s jump into the amazing life of Dwayne Johnson. At the age of 22, he went home to live with his parents in Florida after being cut from the Canadian Football League. In his pocket, he carried all the money he had – a mere USD7. The devastating moment of realising that his dream of becoming a professional football player was over turned out to be the biggest motivation in his life; the moment that led him to become one of Hollywood’s highest-paid actors and producers ever. The epiphany would ultimately become reality. As of 2018, Dwayne Johnson’s net worth is estimated to be around USD220mil. After his football career ended prematurely, he entered a brief period of sadness and despair. So, how did Dwayne Johnson go from being a failed football player to a wrestling sensation and then, one of Hollywood’s hottest stars? One theme that stands out throughout Johnson’s life is having the self-belief that we are not bound by our circumstances. Carol Dweck, professor of Psychology at Stanford University, cites Dwayne Johnson as a prime example of someone with a Growth Mindset. Her research is focused on how the stories we tell ourselves and the beliefs we hold can decide if we will sink or swim. Despite Johnson’s challenges and setbacks throughout the years – including his failed football career and being evicted with his mother from their home – he went on to establish one of the most exciting wrestling careers, spanning 20 years, and then successfully took on Hollywood despite initial criticism from harsh sceptics. I term the beliefs we fester in our minds as our intellect character. So, ditch the fixed mindset and look for growth opportunities. Often, life doesn’t go quite as planned. Johnson set his sights on becoming an NFL star, but his world came crashing down around him. He could have stayed depressed and wallowed in self-pity, but instead he looked towards other opportunities and went after them, come what may. Sometimes you’re going to get your a** kicked. You’ve got to get up and have faith. Years later we look back and realise, it’s the best thing that never happened. 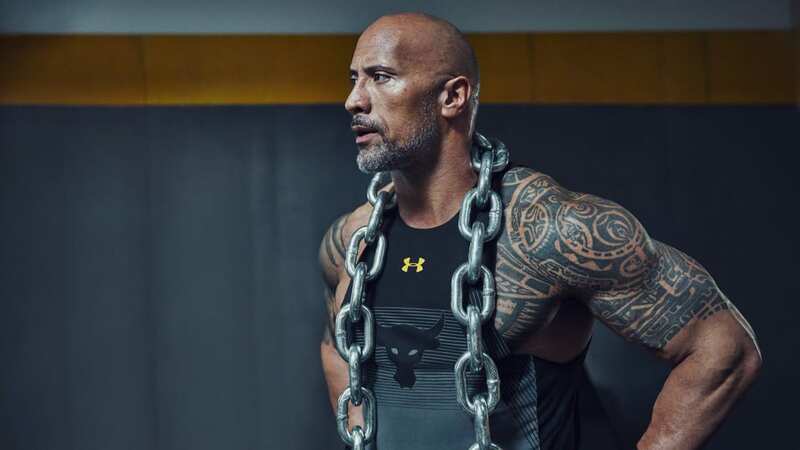 What sets Dwayne ‘The Rock’ Johnson apart from others who might encounter similar challenges is that he never gives up, no matter the struggle. This seems like cliché advice our parents give us, but not many of us truly know what we want to be. Johnson left the wrestling world and wanted to make it as a movie star. He started out decently with the movie Scorpion King, but did not make much of an impression in his few following movies. Instead of sulking and blaming others for his failure, he called for a meeting with the various stakeholders managing him, including his agents. He started the meeting by outlining his end goal. His vision was clear, “I want to be Will Smith, only bigger and different. I don’t know what that means but I can see it!” With that clarity, everyone around him rallied to make his dream a reality. Is there a clear end goal in our organisations? Is everyone on our team clear about where we (as leaders) want to go? If there is clarity of vision, there will be significant progress towards the goal. Johnson really listens and this helped him build not only his wrestling career but also his business career. He gains significant business acumen by listening. Great leaders always know more – and this is achieved by listening to everything around them and then making great decisions. Are you listening enough to the ‘buzz’ around you? Another key question you may ask is “Why should people tell me important ‘stuff’?” This is another key lesson that I picked up from Johnson. The reason why people are willing to share knowledge with him is because he is really nice, and most importantly, he is sincerely interested in the people he interacts with. Humility has its place, and we certainly shouldn’t oversell who we are or what we do. On the other hand, radio silence is deadly in today’s digital world where content is king, and presence is everything. Johnson’s hundreds of millions of online followers are constantly informed of what he is up to, and film producers love the lengths he goes to in order to promote his movies. You can be the most talented person out there, but if you don’t let the masses know, there are plenty of other people out there waiting to grab their attention. But do it like Johnson – with finesse! This is one of Johnson’s favourite expressions. Not only does he have a packed schedule most days, he gets up at 3.00 a.m. in order to get a full workout done even before his day begins. And as a proud family man, he makes sure to spend plenty of time with his loved ones, too. We all have 24 hours in a day – how you prioritise and make use of those hours will determine how likely you are to achieve the goals you set for yourself. One of the most interesting insights I have encountered about great leaders is that they are constantly calm regardless of the hurdles encountered. Most film directors who work with Johnson love him for his calmness and ability to be pushed hard. As an athlete, he understands being pushed very hard and never gets annoyed or upset with reshoots or mistakes on set. Which brings me to the next point, when we get upset about issues, we should not sulk, instead, like Johnson, we should shoot for a resolution. Resolving issues quickly and in a practical manner is what great leaders do seamlessly. If we want to become a great leader, we need to learn to be calm and quick in resolving all conflicts and issues.